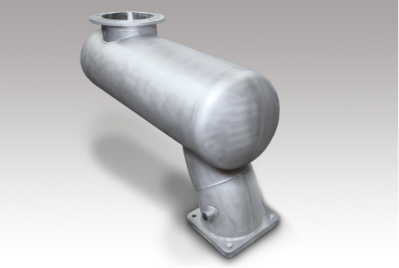 We manufacture all types of pressure vessels and piping according to our customers' specifications. In addition to the conventional steel grades in apparatus construction, we also use special grades such as duplex, super duplex and Hastelloy. Our range of services also includes non-destructive testing in accordance with the regulations to guarantee that we offer our customers worldwide a perfect product. Decades of expertise in the technical design and manufacture of all types of industrial silencers give our customers the assurance that their machines are equipped with effective silencers. In addition to our experience, we make use of modern tools such as special software for simulation and design. 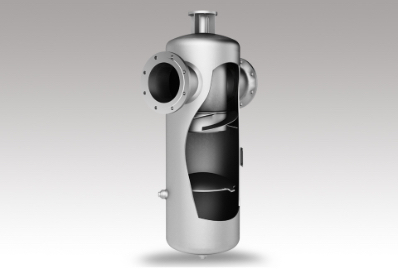 We manufacture pressure vessels with an internal pressure of up to 1000 bar. Our modern welding processes also allow the production of high wall thicknesses and the processing of demanding materials. 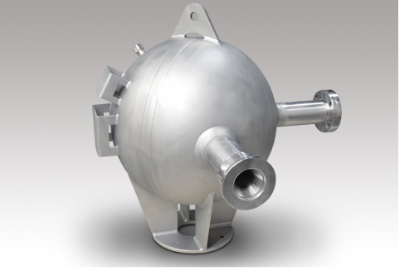 The spherical shape is ideal for reliable control of very high pressures. We manufacture these components for our customers with the highest precision. 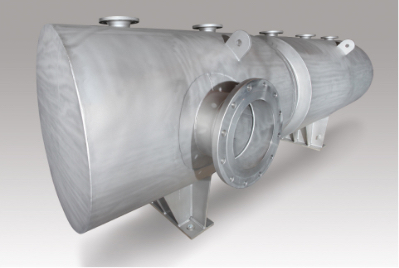 Cyclone separators serve as mass force separators in technical plants for the separation of solid or liquid particles contained in gases (e.g. for exhaust gas purification). Centrifugal forces generated by a vortex flow are used as the separating mechanism. We design and manufacture this apparatus for you according to all common rules and regulations.